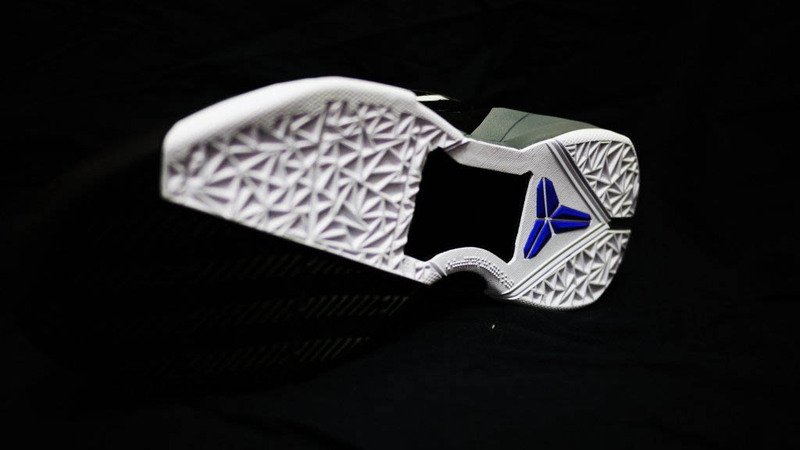 Out of all the previews, here's one of the more subtle Nike Kobe VII colorways we can expect to drop later this year. 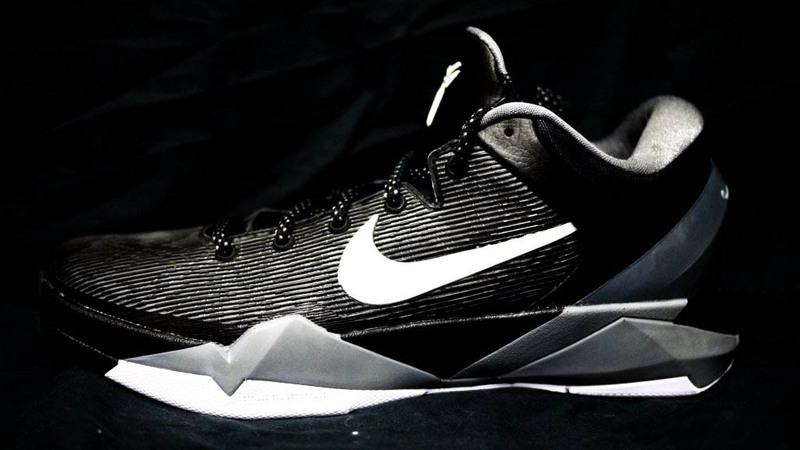 Out of all the previews, here's one of the more subtle Nike Kobe VII colorways we can expect to drop later this year. 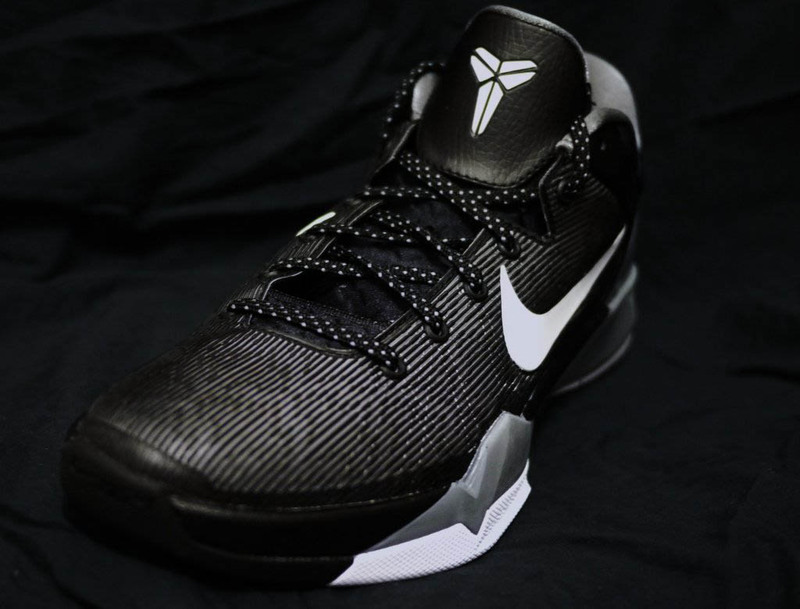 Sporting a simple black "Kobe Skin" polyurethane upper, the shoe is accented by white Swoosh logos, a Wolf Grey interior and Cool Grey hits on the heel counter and midsole. 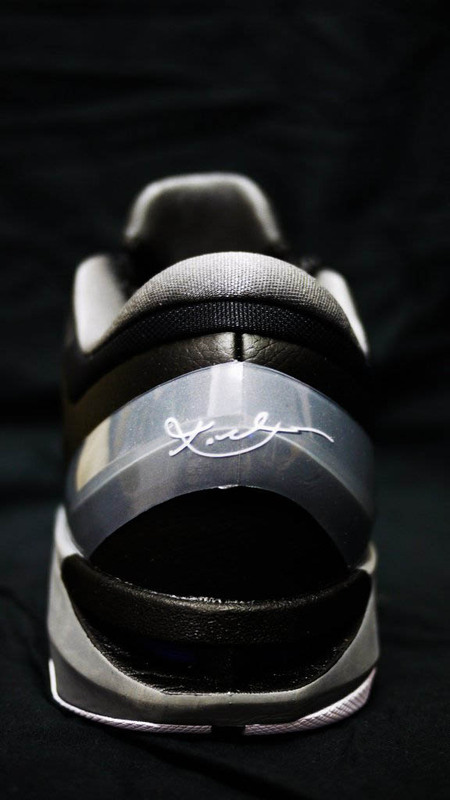 White also works the Shozoku, heel signature and outsole, which is adorned by a Shozoku done in Concord. 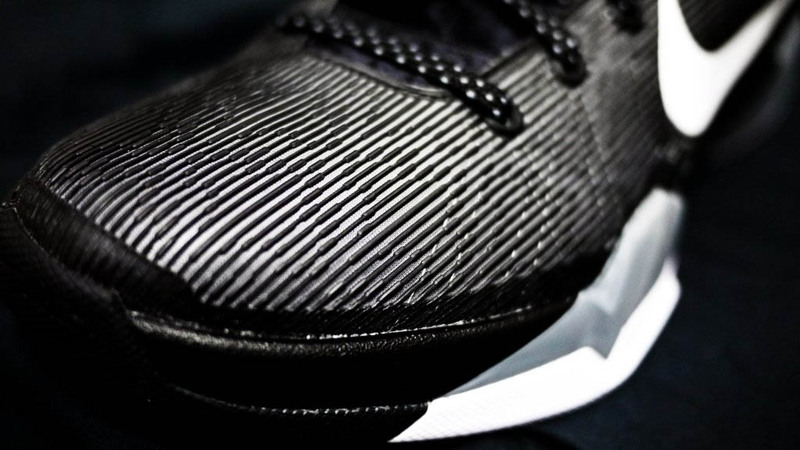 We're still waiting for a concrete release date for this pair, so stick with Sole Collector for updates.